These Chocolate Lovers Brownies are amazing! I am not a huge chocolate person and I couldn’t stop eating them. 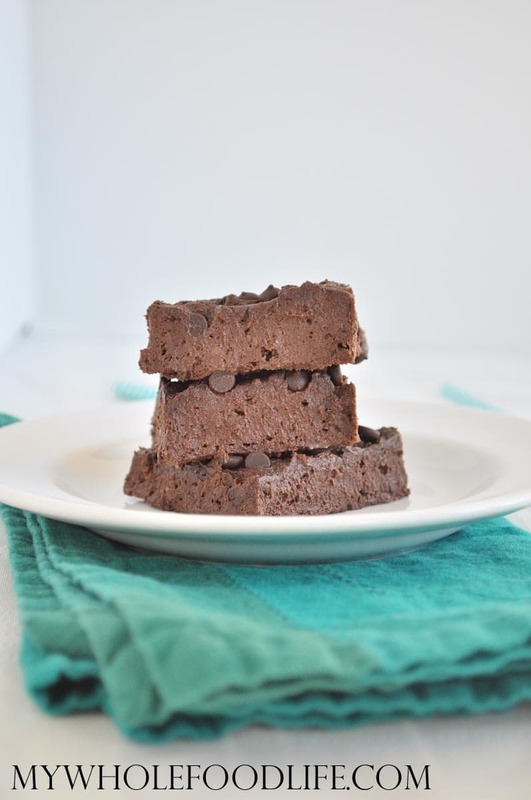 These healthier brownies are vegan, gluten free, paleo and no bake. There is even a nut free option with these chocolate lovers brownies. I whipped these up in no time at all. They are so rich. Almost like fudge. A little bite will satisfy you. If you love brownies, you may also like my super moist flourless brownies or my no bake peppermint brownies. I let my brownies chill overnight in the fridge. They set up great. I bet you could speed up the process by putting them in the freezer for 30 minutes to an hour. I used macadamia nuts in this, but any nut will do. I bet sunflower seeds would work well too. Super rich chocolatey flavor perfect for chocolate lovers! Line an 8x8 baking dish with parchment paper. Make sure you leave room sticking out the sides. These should last at least a week in the fridge. Enjoy! So glad you liked them Summer! Hi! I'm making these for a school project and they need to be nut-free. Do you think that replacing the nuts with seeds would work? If so, are there any seeds that wouldn't have a negative taste impact on the brownies? Thank you! PS: Your recipes are so tasty! Thank you! I haven't tried, but I think sunflower seeds could work. I love that this is raw bc I have had BAD results from baking avocado. Can you store these in the freezer? Yes you can store them in the freezer. :) They are yummy frozen too. Hi Can I add protein powder to this recipe?